The unique formula of Lava™ Plus High Translucency Zirconia provides significantly higher translucency¹ and unprecedented beauty – without compromising strength. The patented shading system enables highly esthetic all-zirconia or traditionally layered restorations. Excellent color match to the VITA® Classical Shade Guide and VITA SYSTEM 3D-MASTER® Shades. Lava Plus zirconia is the beautifully durable material of choice. 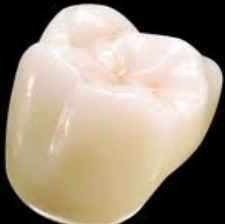 ¹ Compared to other shaded zirconia.